How do you do this in an ethical way? How do you do this in a way that benefits them, not just you and your mission? 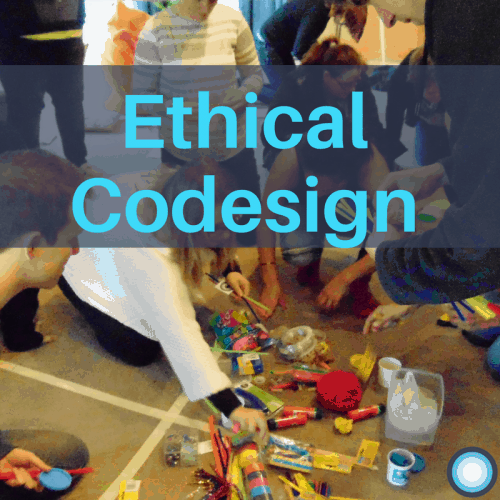 During Te Koānga, we invited the teams to consider some traditional ethical concepts and apply them to the codesign process they were creating. Key points of safety when working with a target group what things will keep them well and safe? How do you enable people to tool-up before engaging in the conversation? How much of your own experience do you intend on sharing, to what ends and why? There’s a fair bit of jargon in there, so if that’s not your style, you might like to instead read our method blog post on enabling participation in codesign.